Aussie Adventure: Melbourne, Uluru, Sydney, Brisbane, Cairns & Daintree. Looking for a once in a lifetime trip? Well, look no further. This Aussie adventure is a real eye-opener and will create the most amazing memories. Your journey will last a whopping thirty-one days, so make sure you stock up on sunscreen. Let’s kick-start this adventure and head down under! You’ve got a long flight ahead of you so we’re sending you flying with Qantas in premium economy heading straight into Melbourne. Relax on board with a complimentary glass of sparkling wine, extra legroom and with a maximum of 40 seats, you’ll have a smooth and peaceful flight. Welcome to Australia! After the flight, we’re sure you would love to get to your hotel to freshen up. Inspired by Melbourne’s street art and the laneways, you’ll be checking into the funky Ovolo Laneways Hotel for three nights. This four-star hotel has a cool, urban feel about it and is close to the shops, bars, cafes and restaurants. You’ll rest up in a super comfy queen size bed and watch movies on an Apple TV. If you can tear yourself away from the hotel, head out into Melbourne and find yourself strolling through the Royal Botanic Gardens. Visit the Australian Centre of the Moving Image, it’s free admission and is a permanent exhibition centre. While you’re here why not take a tour of the Yarra Valley, it’s a world-renowned wine growing region, but this tour rivals the others as you’ll also have a chance to taste some gourmet produce as well. Bid farewell to Melbourne, but don’t worry if you haven’t done everything you wanted, you will be coming back. Let’s hop on a short Qantas flight to Alice Springs. In the heart of Australia’s Red Centre, you’ll be staying at the Sails in the Desert Hotel in Ayers Rock Resort for two nights. This five-star hotel will give you a real luxurious outback experience. With views across the desert and Uluru as a backdrop this place is truly magical. We’ll also send you on an Uluru Base & Sunset Tour, complete with an authentic Aussie barbeque. Once you’ve taken in the sights and sounds of this indigenous region, you’ll be flying back to Melbourne to continue the rest of your journey. Now you’re back in Melbourne, you’ll be staying here for an additional two nights at the unique five-star hotel, The Cullen. This boutique hotel is adorned with the artworks and sculptures of Adam Cullen, the rooms are also equipped with full kitchenettes, which is perfect as directly opposite the hotel is the Prahran Fresh Market. To finish up your time here in Melbourne, catch up on any activities that you didn’t have time to do before and grab a bite to eat in the Gramercy Social, this little bistro offers the big apple favourites with a Melbourne twist. 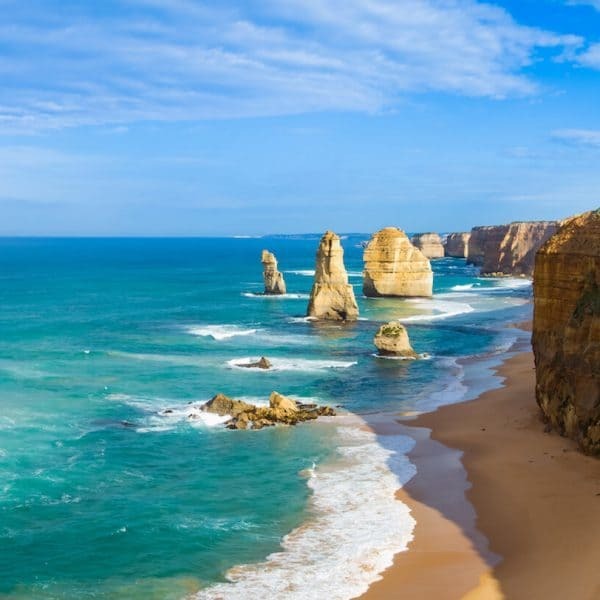 You’re not jumping on a flight this time, to get to Sydney you’ll be hitting the highway in a luxury motorhome to experience one of the best road trips the country has to offer. Take the coastal route for fine wines and food, deserted surf beaches and charming beachside towns. You can also drive on to Phillip Island to see koalas in trees, watch the seals play and see the penguins after a day in the ocean. We’ll give you three days in your luxury motorhome to enjoy the scenery before you reach Sydney, Australia’s biggest city. When you reach Sydney, you’ll be staying in the best location! You’ll spend six-nights at the five-star Pier One Sydney Harbour Hotel, nestled alongside the Sydney Harbour Bridge and one of the few hotels in the heart of The Rocks. Your contemporary room will have stunning views across the water overlooking Sydney Harbour and Walsh Bay as you’ll be staying in a waterside king room. There’s so much to see in Sydney, so why not take a stroll along to The Rocks, there is always something going on here. You can dine alfresco under the stars, shop in the unique retailers or escape to one of the galleries or museums. Head down to the popular Bondi Beach, learn to surf and catch some waves. Take a trip up to the Sydney Tower Eye, the second tallest building in the Southern Hemisphere, you’ll be seeing a panoramic view of Sydney. For a real adrenalin rush, why not climb the Sydney Harbour Bridge in the evening to see the city lights and the Opera House, this gives for a fabulous photo opportunity! Time to move on from Sydney to the next destination on this adventure, Brisbane, so let’s board the plane and see what this new city offers. You’ve reached Brisbane! Let’s check in to the street-art inspired Tryp Fortitude Valley Hotel for five-nights. This four-star hotel is set in the central hub of Brisbane and with only a limited amount of rooms, you’re in for a unique urban experience. You’ll be staying in a queen room with mood-lighting and street art decor, which will surprise even the savviest of travellers. Start your evenings in the hotels’ amazing rooftop bar, which is one of the biggest in Brisbane before venturing out to see the city by night. By day, visit the local Lone Pine Koala Sanctuary and get up close and personal with these Aussie natives. You can also drive down to the Gold Coast to experience the spectacular beaches and thrilling theme park rides. Take a picnic to the highest peak in Brisbane, Mount Coot-tha to lookout over the city and beyond, a perfect photo opportunity. Time to go to the airport for a flight to your next destination. With only nine nights left in Australia, where to go next. You’ve landed in Cairns, the gateway to the Great Barrier Reef! You’ll be spending four nights at the four-star The Hotel Cairns. This luxury hotel is incredibly private, it’s set back from the street and shaded by tropical plants and trees. It is conveniently located only a five minute walk from the shops and restaurants in Cairns CBD. The rooms are very relaxed with a classical Queensland style which will leave you feeling refreshed every morning. In contrast to your relaxed hotel, be prepared for some adrenalin-fuelled activities! You could start by throwing yourself in (or off) the top of Australia’s one and only bungee tower, 50 metres high plunging head first towards a lake, what could be more exciting than this! Well, how about a tandem skydive over the Great Barrier Reef, take in the breath-taking scenery and get a bird’s eye view of Heart Reef. Perhaps you’d prefer your feet being firmly on the ground and swimming in the sea. We’ll arrange for you to take an exciting cruise to Green Island which is home to a unique reef and rainforest combination, for you to explore before heading out to the Outer Great Barrier Reef for some snorkelling or diving. To get to your next destination, you’ll be hiring an SUV to drive up through the rainforest. After a two hour scenic drive up to Daintree Village, you’ll have the chance to experience the rainforest and spend three nights in the Daintree Eco Lodge and Spa. This exclusive four-star rainforest retreat is nestled in the World Heritage Daintree National Park. With only fifteen lodges all based above ground, you’ll be waking up to the gentle sounds of nature, breathing the freshest air and seeing the beautiful sights of this ancient rainforest! Whilst you bathe in the tranquillity of your surroundings, you can take a relaxed walk up to the swimming hole and waterfall. Why not treat yourself to a massage at the onsite world-acclaimed spa before venturing out on a Daintree River cruise to spot the vast range of wildlife. If you’re feeling a little more adventurous, take a journey along the jungle canopy on zip-lines and tree platforms. For an exceptional dining experience, dine at the Julaymba Restaurant on site, using local ingredients each dish is a piece of culinary art. This retreat must come to an end eventually, so take your time in the drive down to Cairns, make sure to treasure those memories. After that relaxing rainforest experience, you’ll finish up your incredible Aussie adventure by staying at the luxurious five-star Shangri-La Hotel for two nights. You’ll experience luxury like you haven’t before on this trip, from the moment you step foot in the hotel you are treated like royalty! Your room will be an elegant sanctuary for you to rest in, while you wake to the soothing views of the Hotel’s tropical garden. Take a dip into the beautiful pool or relax on the sundeck, it’s entirely up to you. Once you’ve lapped up the Shangri-La treatment, it’s time to head home. Time to board the Qantas flight back to the UK, of course you’ll be travelling in premium economy so you can toast to those treasured memories you have made. Flying premium you’ll also have an increased checked baggage allowance, so you’ll be able to fill your suitcase with all the souvenirs you’ve collected along the way. So, if you’re looking for a jam-packed, fun-filling, once-in-a-lifetime Aussie experience, then look no further. 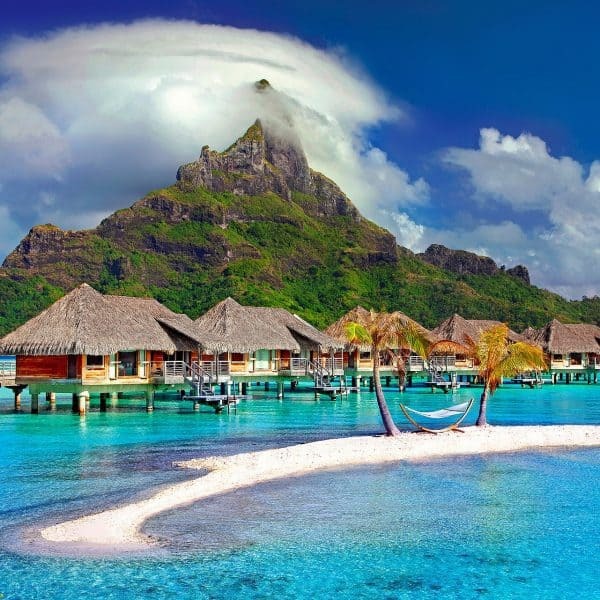 This amazing trip can be a part of your life from £6750 per person.